You can scroll back through the history in the REPL buffer, allowing you to evaluate previous expressions evaluated in the REPL. You can also change any of the previous expressions before evaluating. In Vim Insert state or Emacs state. The above commands do not work in Vim normal state. You can view the whole history in a separate buffer via the REPL Command menu, available when the REPL buffer is active. 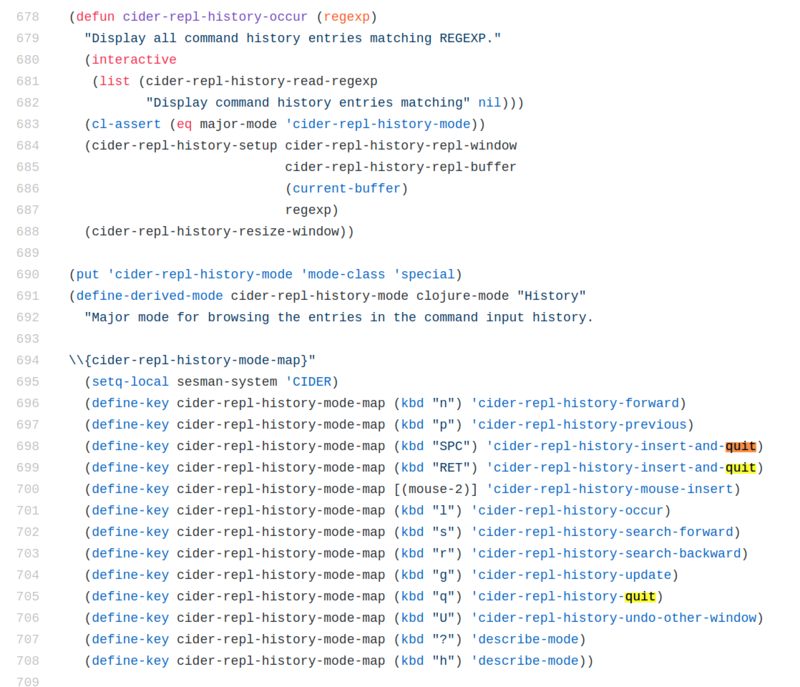 Type history at the REPL command menu prompt, press RET to select. 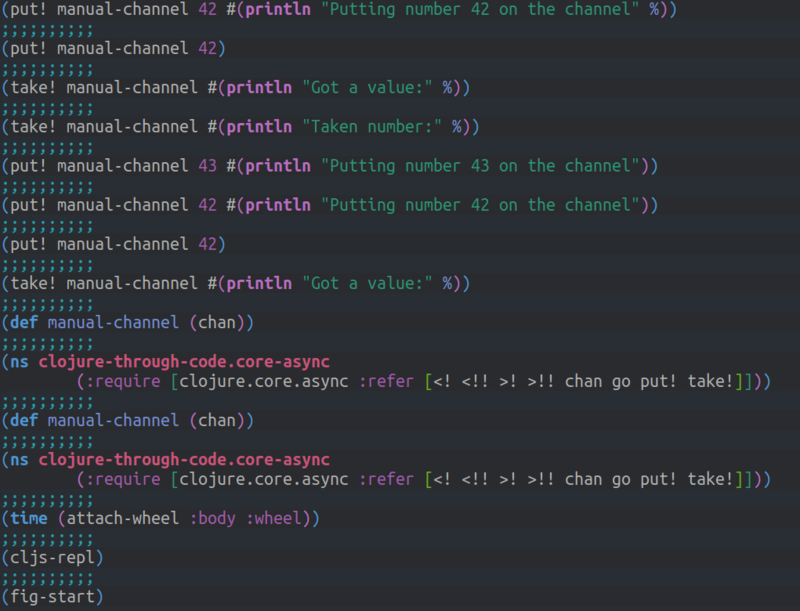 A new buffer opens in Vim normal mode and shows all the previous history, separated by comments. RTN or SPC will send the current expression under the cursor to the REPL buffer and close the repl-history buffer. SPC SPC cider-history-use-and-quit sends the current expression to the REPL buffer and closes the REPL history. #11431 is a pull request to add Evil keybindings to the REPL buffer, so you can press RTN to evaluate code when in Vim Normal mode. It will also add Vim Normal keybindings to send the current expression to the REPL.